Where can you find hikes near Denver to view the changing aspens and fall colors? We’ve looked through all our hiking profiles to identify trails near Denver that are decorated with glowing aspens in the Fall. Some of these Autumn Colorado hikes have spectacular drives to the trailhead. Because some of the hikes closer to Denver are just so-so (it takes driving further into the mountains to get the best views of the Aspens), I’ll identify some of the best hikes to see the Fall colors near Denver here. Be sure to download our Free Hiking Guide to help you prepare and pack smart for your dayhikes near Denver. When do Aspens Change in Colorado? Hiking at the Right Time. September is the best time of the year to see the changing aspens in Colorado, particularly during the 3rd and 4th weeks when they hit their peak splendor of golds, oranges, reds. Aspens change color in response to the changing temperatures in the Rocky Mountains, so it can vary a bit year-to-year and in different regions of the state. A good rule of thumb is to plan your hikes and drives to take in Fall colors during mid-September through mid-October. Near Denver, the temperatures tend to be warmer, so aspens will change later along the Front Range and earlier up in the mountains. 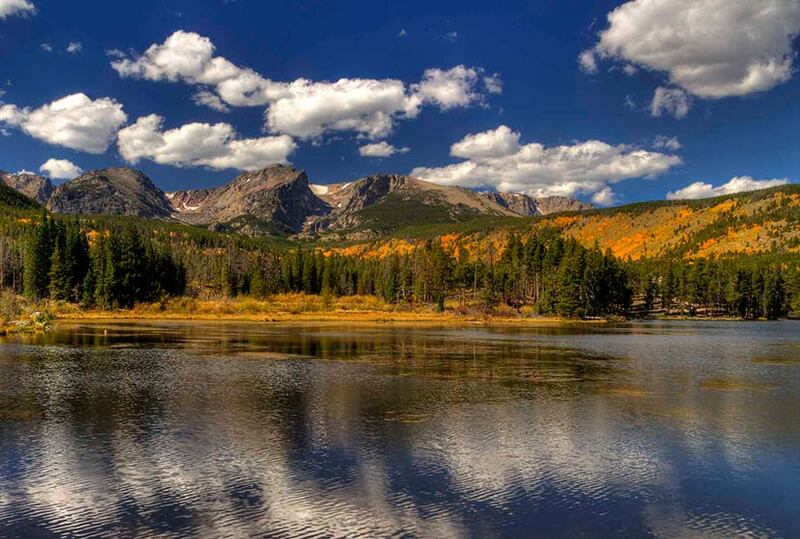 Let’s start with an easy hike in Rocky Mountain National Park. The Sprague Lake loop offers an 1/2 mile loop hike with 360 degree breathtaking views of the changing aspens mirrored in face of the water and leaden grey peaks in the distance. It’s a two-hour drive from Denver, and requires a park pass, but it’s worth it. Parking is limited at the lake, but a shuttle runs to the trailhead. See our full trail profile for all the details. Here’s why you need to do this hike in the fall season: 1) The drive there will take you up Rampart Range road which should be gilded with changing Aspens, 2) When you get to the top of Devil’s Head, you’ll gain 360 degree views that will let you drink in the colors from for miles and miles. I love to make this hike in the early morning as the sun is rising and lighting up the spires along the spine of the Rampart Range. This may be the most challenging hike in this list of fall hiking trails. Elk Falls was hidden for years on private land and recently opened to the public at Staunton State Park. This entire area near both Guanella Pass and Hoosier pass is amazing in the fall. After the hike, there are options to drive further out 285 to Hoosier Pass or to take the seasonal road up Guanella pass. The great thing about Stuanton State Park is that you have other options, too: shorter easy strolls with aspen meadows and towering pines, and more moderate hikes through the heart of the park. Scan the rock cliffs and mountainsides to see if you can get a glimpse of the occasional aspen tree turning red. Our family loves this 2.5 mile hike in Golden Gate Canyon State Park. 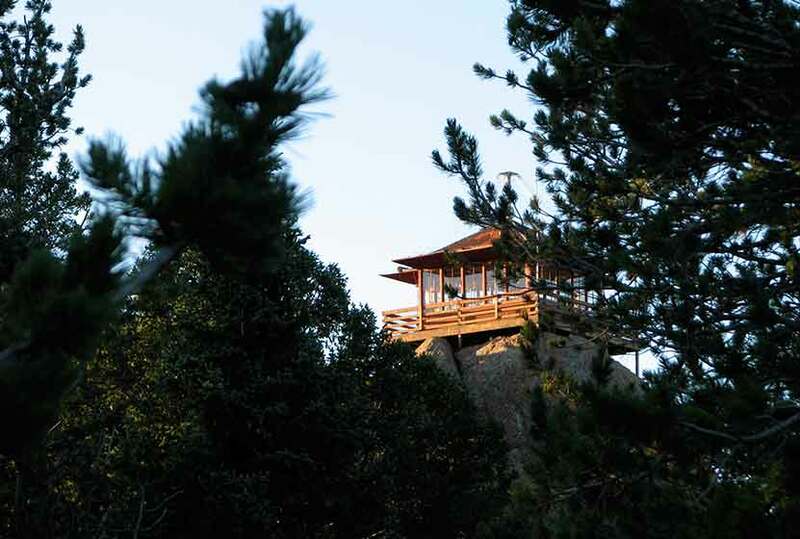 There are panoramic views of the Front Range all lit up with gold and green at the Panorama Point viewing area. It’s not like Kenosha Pass (see below), but it’s still beautiful and closer to Denver. The Raccoon Loop hike weaves through meadows of changing aspens, past seasonal creeks, and through pine forest. The drive from Golden to the park takes you along a really curvy road, so take your time and be aware for cyclists. 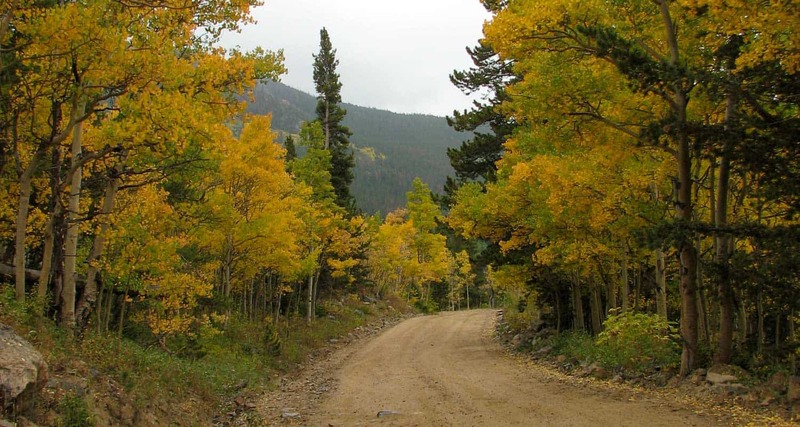 This drive to Guanaella Pass and hike are both breathtaking when the aspens are turning in the fall. We suggest starting on the north end (I-70 end) and to make your way south over Guanella pass. You can stop here and hike a length of the Mt. Beirstadt Trail, taking a short stroll in the high country, or making the more adventurous hike to the summit of Mt. Bierstadt (be sure to prepare for this as you would any summit trip to a fourteener–it’s not a walk in the park). Continuing over Guanella pass, hikers can drive further to Kenosha Pass, which may be the most best place to view the changing aspens near Denver. When Guanella Pass road intersects with 285, a right turn (west) leads to Kenosha Pass. See below for more hike details on Kenosha Pass. Kenosha Pass may be the best place to soak in the miles upon miles and mountains behind mountains of golden aspens in the Fall. The trail that runs on both sides of 285 is easy to moderate, and because it is part of the Colorado Trail system, it seems to go on forever. 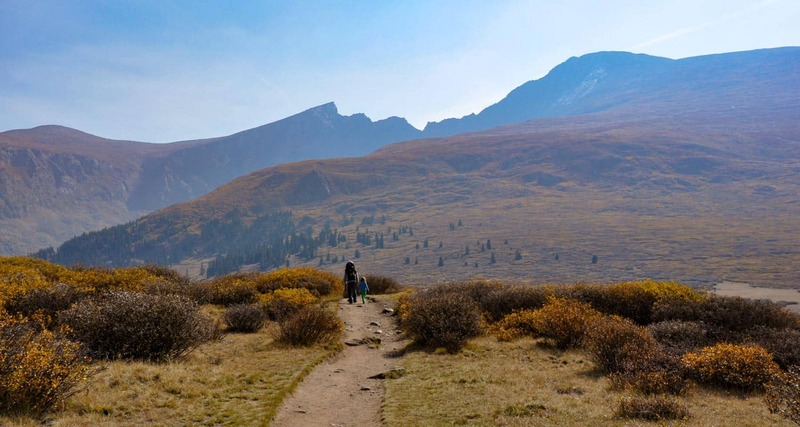 Most families hike in a short distance, but we recommend pushing further beyond the congested trail segments to higher points where you’ll break out to views of South Park below and the Ten Mile Range of the Rocky Mountains. The Butler Gulch Trail near Jones Pass is a “get into the mountains” hike. About an hour from Denver and you’re completely surrounded by mountains. The trail gains altitude fast and the ridgeline offers incredible views for miles of Colorado’s fall colors. 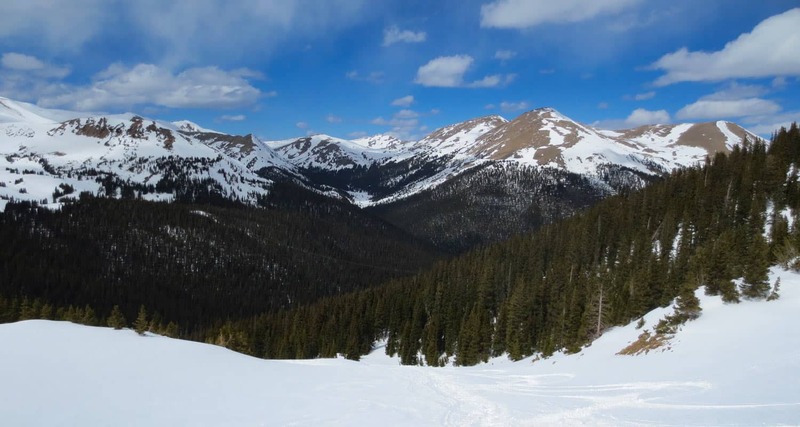 Hike a bit further to gain a higher ridge marking the continental divide for a 360 degree panorama of gilded high-country. The parking area is just past the Henderson Mine and will be busy this time of year, so be sure to arrive early to get a parking space at the trailhead. 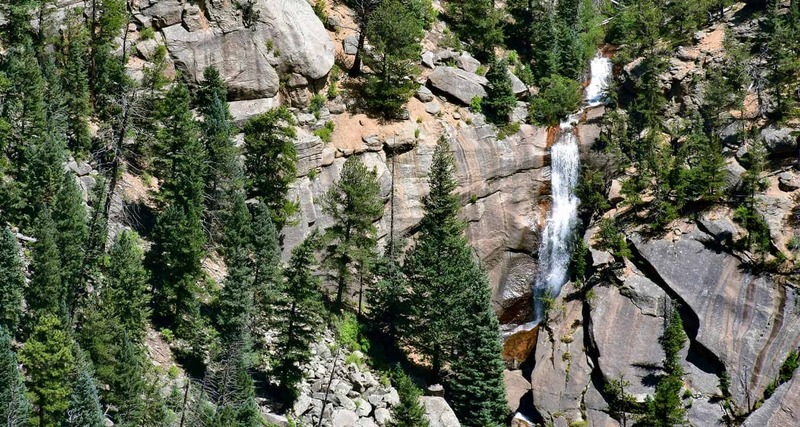 Aspens + Mountain Streams + Cascades + a Waterfall = A great Fall Colorado experience. Before reaching this 40-foot falls, this fall hike traces the course of a number of creeks and takes hikers past three other cascade waterfalls. 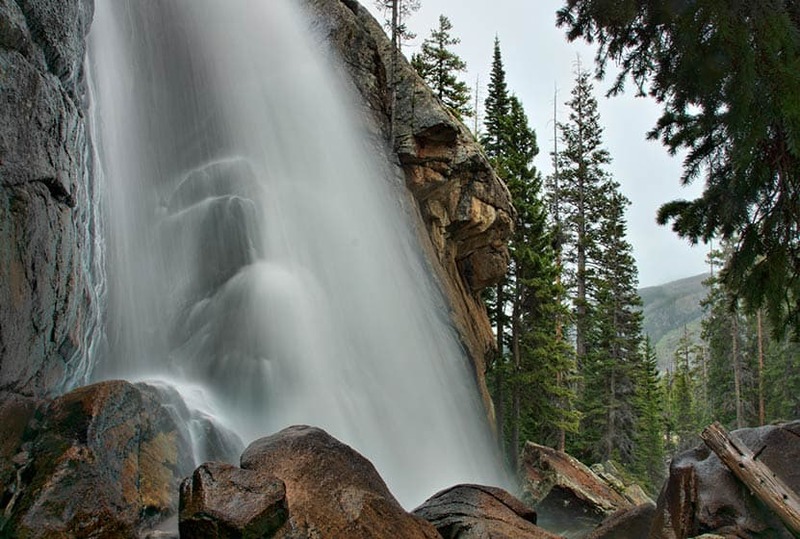 Ouzel Falls is probably one of the most beautiful waterfalls in Rocky Mountain National Park, an arched stream of water spilling from the cliffside. Explore the full trail profile for parking details, trail map info, and tips for this hike in the Wild Basin of Rocky Mountain National Park. 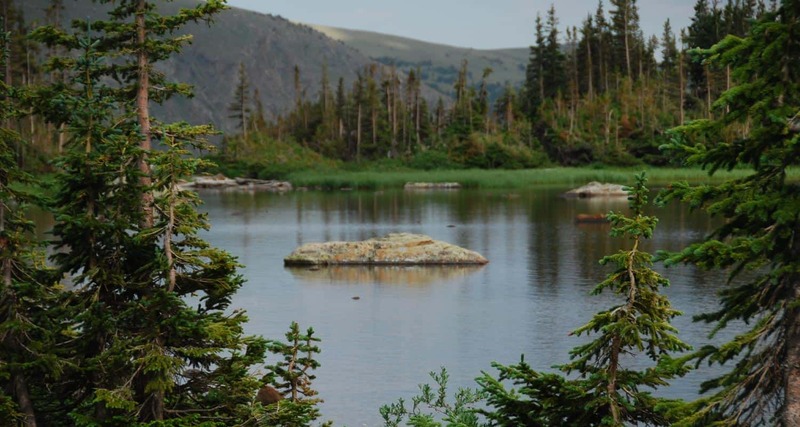 This hike in Indian Peaks Wilderness leads to a high mountain lake surrounded by multiple peaks. 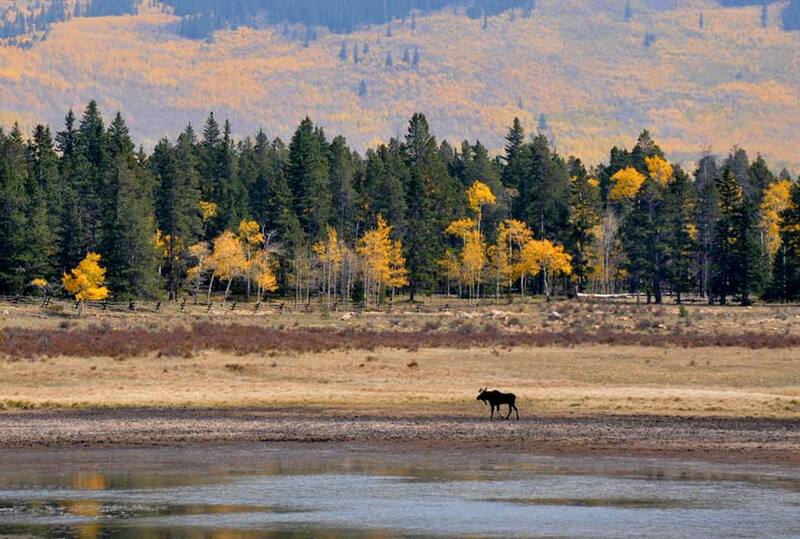 In the Summer, this area is adorned with wildflowers that give way to the splendor of gold and red aspens in the Fall. Hikers pass a waterfall and an old mine site on the way to Diamond Lake. The 4th of July Trailhead fills up very early, so we recommend arriving before 7AM on the weekends in the Fall. 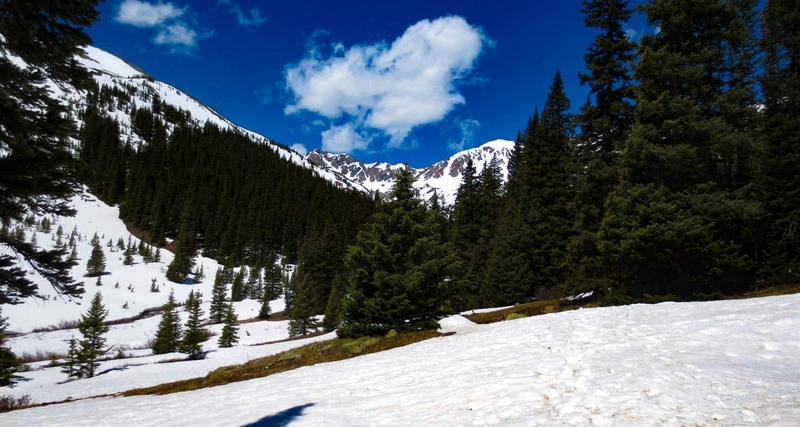 Herman Gulch Hike near Silver Plume is a more demanding hike that leads into the heart of the Front Range. 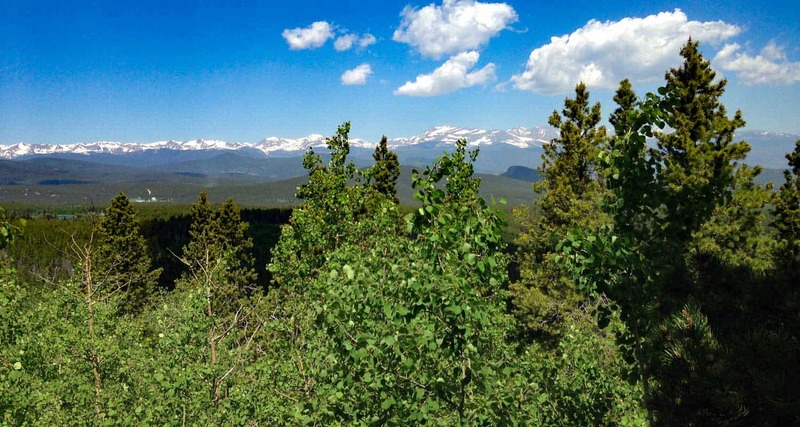 The canyon has spectacular views of Clear Creek, mountain peaks and the Loveland ski area. The trail leads back to a high-mountain lake underneath Pettingell Peak. Aside from being a wonderful fall hike, this is another great place for snowshoeing and skiing activities during winter.